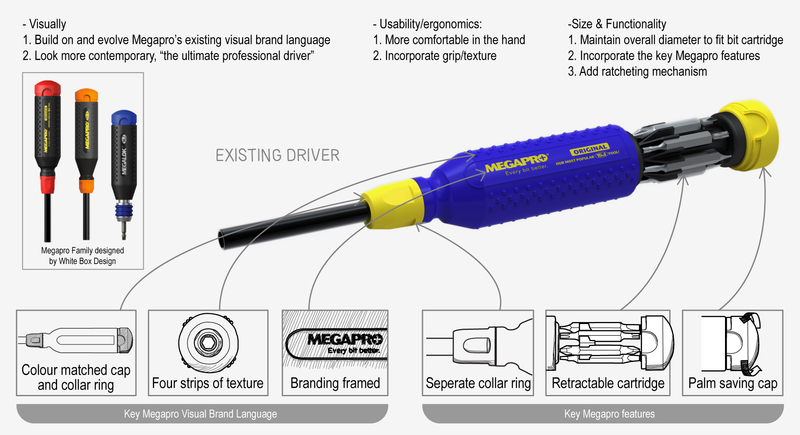 White Box Design’s latest product design with Vancouver’s Megapro is the professional grade ratchet driver. 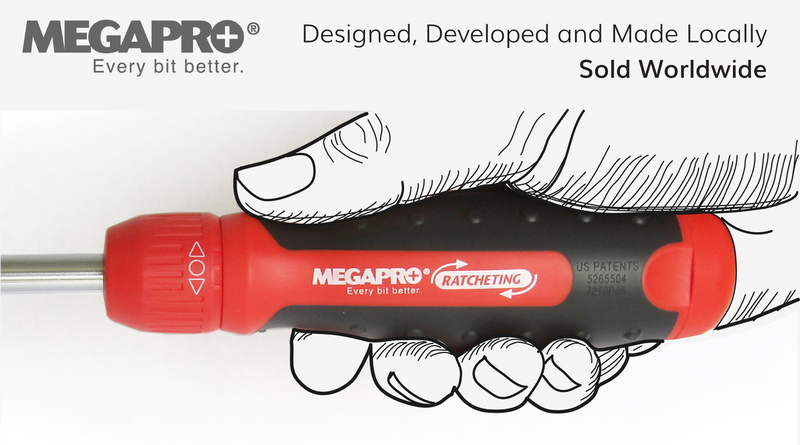 It incorporates all the tried and true features of Megapro’s existing products with new advancement in ergonomics (tapered comfort grip) and features a new ratchet mechanism. Next step is to develop the chosen direction into the virtual world, using CAD we bridge the design with the overall mechanical requirements. Making sure internal elements can fit inside the design with appropriate wall thicknesses. 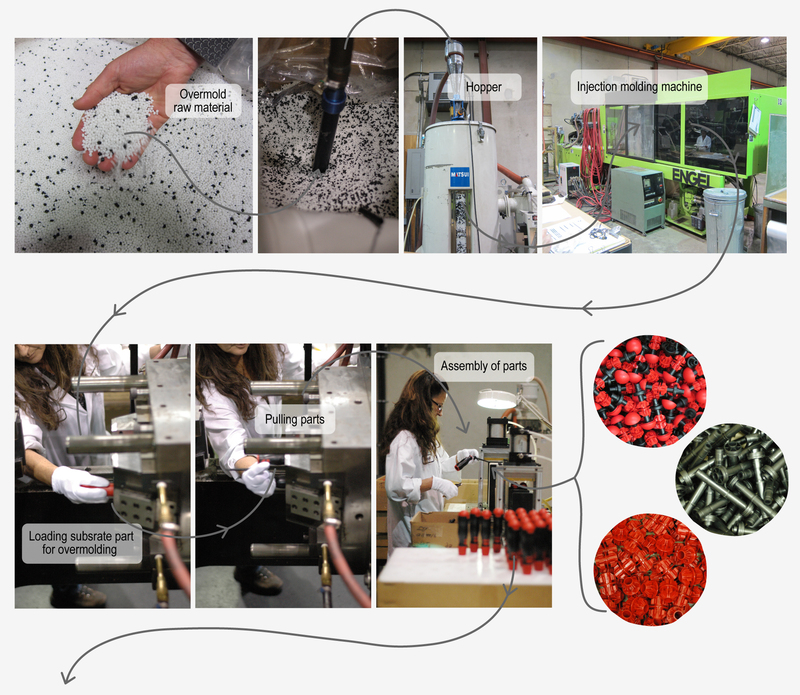 After developing the design further a prototype is made to test how well it really works (fit, comfort and form). Now for the fine tuning, White Box Design hands off the design intent files to the mechanical engineer to further develop and detail for manufacturing. 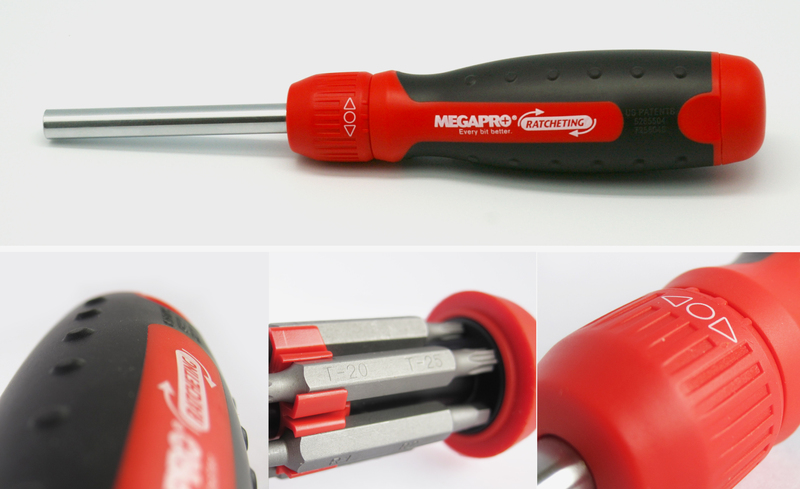 The mechanical engineer validates overall dimensions and details each component for moulding. The final design and CAD files from mechanical engineer are supplied to the toolmaker. The toolmakers machine shop uses CNC machines to make the injection molding tools. With state of the art equipment and a demand for high quality and high tolerance parts, the entire driver is moulded and assembled locally.